Uninstall Tool is a fast, reliable and powerful alternative to "Windows Add/Remove Program" standard applet, that is able to perform a complete removal of unneeded applications and system components, leaving no leftovers. 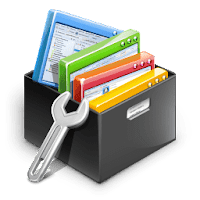 Uninstall Tool will let you manage programs that run at system startup and it's also packed with an Installation Tracker (Installation Monitor), that lets you install a program and trace everything it creates on your PC in real-time mode. Disclaimer: Direct downloads for the lastest version of Uninstall Tool 3.5.3.5561 are provided by the official software's author, we can't guarantee safety, availability or download speed. Moreover, we don't and we won't provide any pirated/illegal versions or tools. We recommend you to avoid it as these methods can harm your device. If you like the software, buy it to support the developers. (We provide software discounts for many worldwide brands).